Kindly complete the online form to enable us to assist you with your recruitment excercise(s) for a candidate attorney/intern/candidate for vacation work. 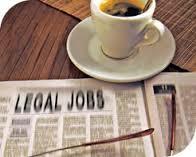 Click here to advertise a vacancy in your firm for a TuksLaw student. The Faculty of Law annually hosts a Law Career Day. This event is an ideal opportunity for prospective employers and our students to interact informally, and also provides a platform for our students to explore career opportunities. If your firm/institution would like to participate, kindly forward an e-mail in this regard to [email protected]. We are more than willing to add firms' particulars here. Please send us an email to [email protected].